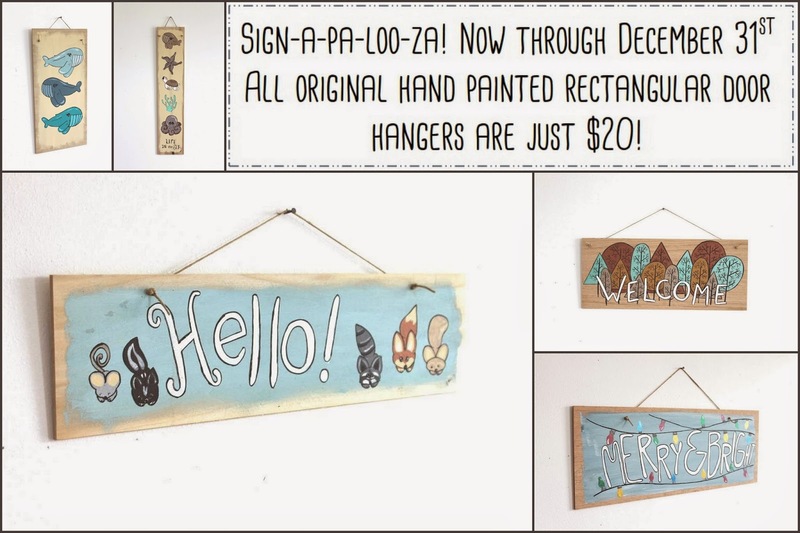 All of the rectangular door/wall hangers currently available in my shop are only $20 through the end of December! These signs each feature original acrylic paintings and look beautiful on your front door, hanging in a nursery, bathroom, or any other room of your home. Each sign takes me around 3-4 hours to sand, drill, draw and paint, and I typically charge $30 per sign. However, you can snag one for $10 off during this Christmas sale!